At Pikeville Medical Center, the future of heart surgery is no longer tomorrow. It’s today. Trust our cardiac team to the care of your heart. Together. We are Saving Lives. Pikeville Medical Center saved my life. 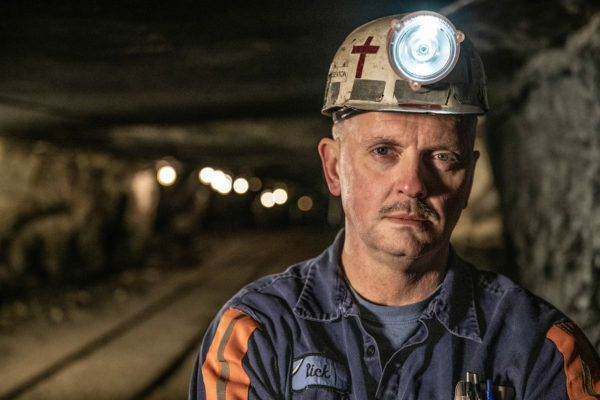 Rick Sexton had a heart attack at work – a mile underground. He doesn’t remember much about that day, but his wife, remembers the call telling her just how critical the situation was. 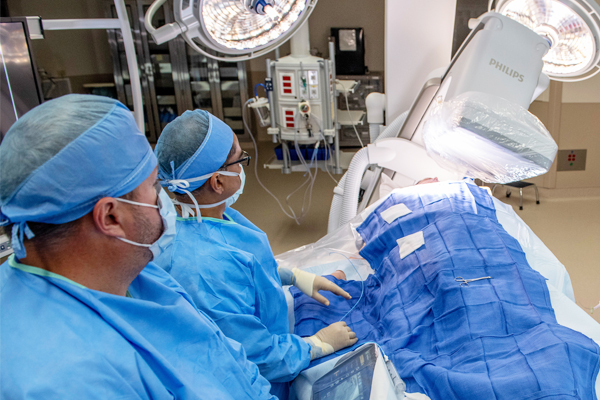 Rick was life-flighted to Pikeville Medical Center where one of the region’s most respected interventional cardiologists, Dr. Muhammad Ahmad, was waiting in the cath lab to repair the blockage in his left anterior descending artery – a blockage known as the widow-maker. Today, Rick is back to work and doing well. 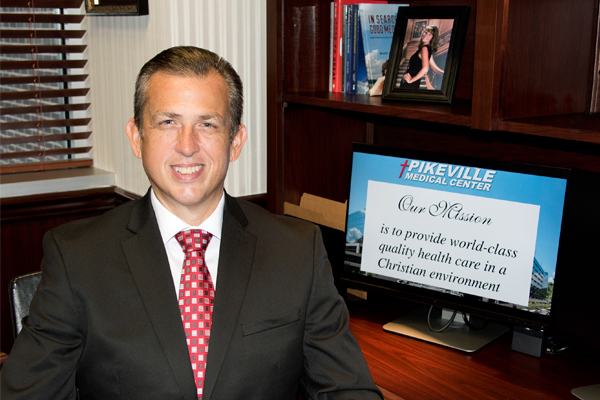 He recognizes the Pikeville Medical Center team for its great care and for together – saving his life. Click to see the video and read the full story. 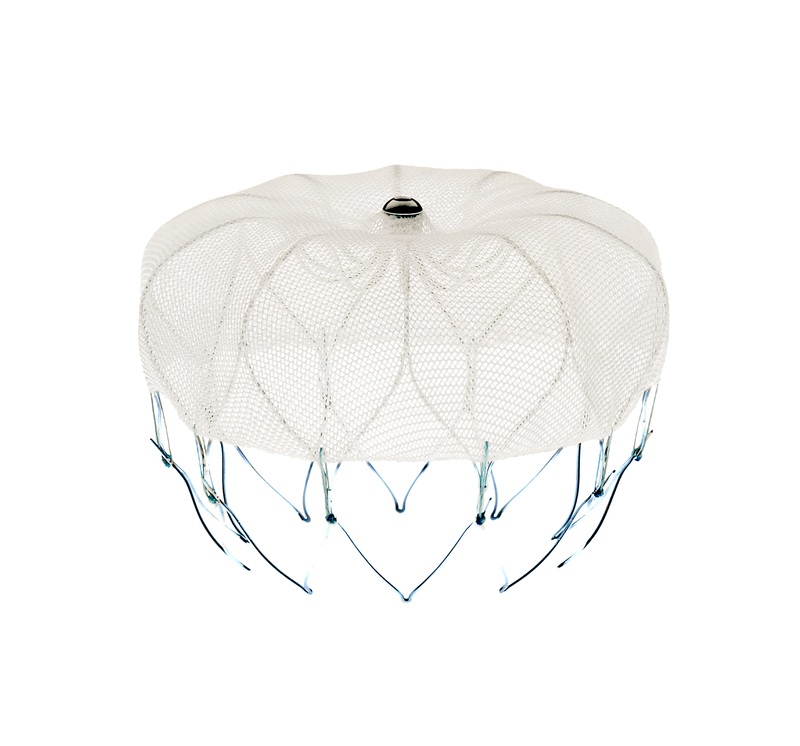 WATCHMAN is a permanent implant that offers an alternative to the lifelong use of blood thinners. It’s about the size of a quarter and made from very light and compact materials commonly used in many other medical implants. If you have a history of bleeding or a lifestyle, occupation or condition that puts you at risk for bleeding, your doctor may consider an alternative to blood thinners, such as the WATCHMAN Implant. For more information and to make an appointment, call PMC’s Heart & Vascular Institute at 606-218-2201 or visit one of our Electrophysiologists’ pages to request an appointment. Click here to learn more about the WATCHMAN. 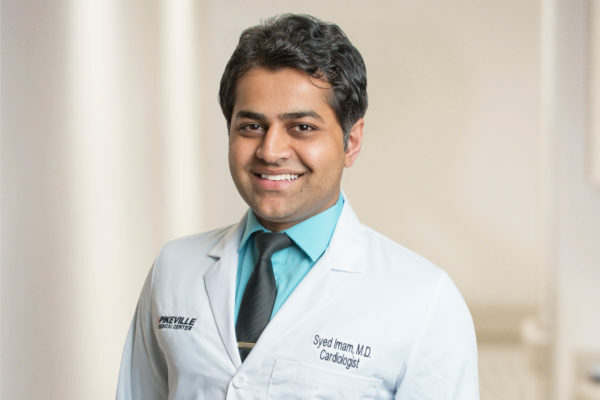 Pikeville Medical Center (PMC) proudly announces the addition of Syed Haider Imam, MD, general cardiologist. Dr. Imam received his medical degree from Aga Khan Medial University in Karachi, Pakistan. He is board certified by the American Board of Internal Medicine and he completed his residency and fellowship in SUNY Upstate Medical University, Syracuse, NY. Dr.